Why does the teacher teach us to love it? Why does everyone love it when they are far away? ( Quê hương là gì hả mẹ? Homesick seems to be the innermost feeling of any expatriate and homeland really becomes the blood, the eternal love and the indispensable part of the soul. I think I’m so lucky, being born and growing up in this land. It’s the proud of a nation with more than 4000 historical years that makes me love Vietnam so deeply. 30th April 1975 when Saigon was liberated, unifying Vietnam witnessed the ending of the long nightmare of the Vietnamese people. 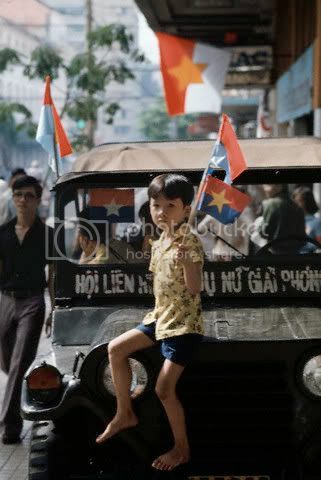 It marked the crowning point in Vietnamese history and Vietnamese people have turned into a new era – the era of independence, liberty and happiness. To commemorate the Vietnamese reunification day, at the final week of this month, Vietnamese Teaching Group is going to hold a sight-seeing to Vietnam Military History Museum at 28A Dien Bien palace, Ba Dinh district, Hanoi city for all current learners This museum is the concentrated embodiment of the spirit of the Vietnamese people “Nothing is more precious than independence and freedom. This trip will surely help all learners get a better understanding of Vietnamese history. This month, besides continuing giving new courses by offering free trial lessons for new learners, each week we celebrate the internal workshop “Making Vietnamese easy” in which the most excellent learners of the previous months will share their ways to learn Vietnamese efficiently. This also contributes significantly in orienting the beginners. Ever got stuck with a legal document written in Vietnamese which you couldn’t understand? Or how about the fashion-focused articles in a Vietnamese magazine that you needed to understand so you can complete your report? You don’t need to look far. Our VTG Translation Services unit provides you with the necessary help you need. Whether your document is in English, Mandarin Chinese, French or Italian, we can translate it for you within a given set period and with no or minimum hassle. Just call Ms. Mai at 0972.369.842 to schedule an appointment.